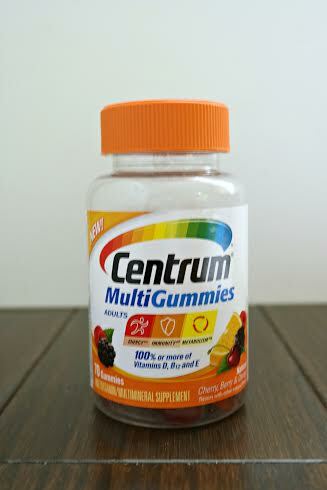 #ad #CentrumVitamins – I am participating in a sponsored campaign hosted by Centrum®. I received compensation for this post. While all opinions stated are my own, I make no claims about Centrum® as a product or its effectiveness. I’ve always been pretty health conscious but the addition of three little boys within two years as well as starting up a new business made staying active and eating healthy all the time a LOT harder to do. The logical thing to do is to add a multivitamin to your diet to make sure you are getting more of the nutrients that you need. It’s quick and easy if you just make it part of your routine. One of the problems I’ve had with multivitamins is that if I take them on an empty stomach, I always get queasy. 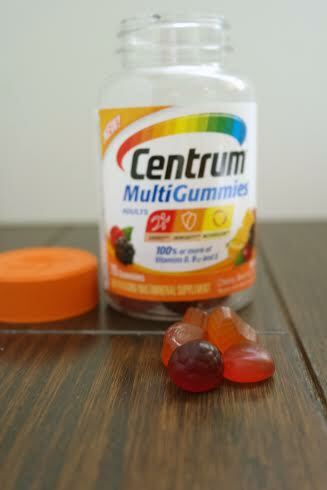 One of the things I like best about the Centrum® MultiGummies is that queasiness isn’t a problem. They taste good and they go down easy. The texture is a lot like a gummy candy, but they are not nearly as sweet, which I think is great. I start every morning with a cup (or three) of coffee, so I keep the bottle right above the coffee maker and the two have become one activity. Easy. If you are on the road a lot, keeping a bottle in the glove box would be simple and great too. Over the last month, I’ve been getting more active with the little boys now that the weather has improved and focusing more on getting my energy level back up by sleeping better, drinking more water and having two Centrum® MultiGummies every morning and I’m feeling a world better already. If you want to learn more about Centrum®MultiGummies, you can get a $2 off coupon by visiting http://www.centrum.com/Centrum-MultiGummies and following instructions there.